Georgia Angler Breaks 38-year-old Bowfin State Record! The Georgia Department of Natural Resources confirmed last week that Jimmy Tucker of Statenville is the new state record holder for bowfin. 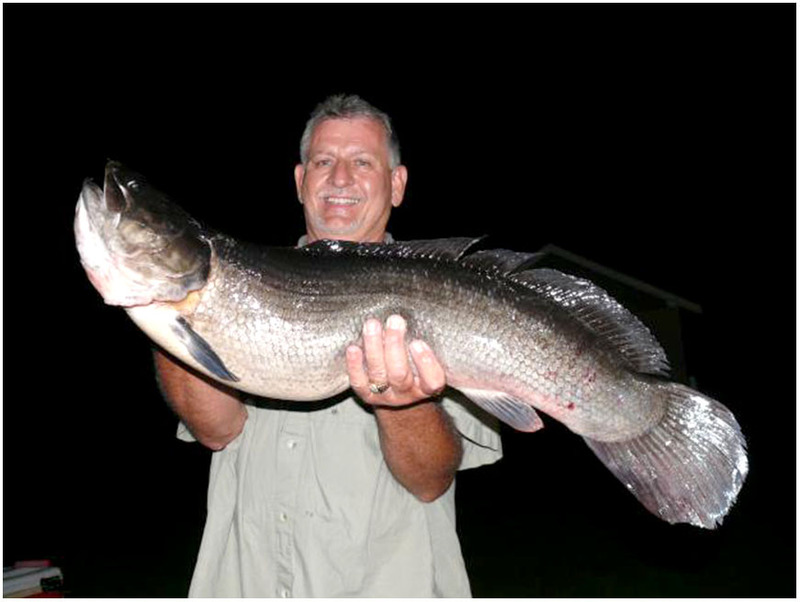 On June 21, the 55-year-old angler caught a 16-pound, three-ounce bowfin from the Suwannee River. Tucker’s fish bested the state’s previous best, caught in 1976, by more than three ounces. Tucker reportedly caught his record fish with a Mepps spinner. Good bait for the species includes frogs, crayfish, minnows, and worms. These long, primitive fish are notable for being great fighters, although bowfins were once considered a nuisance fish. Bowfins are also unique for their ability to use their gas bladder as a secondary lung. This trait allows them to survive low-oxygen environments and to remain buoyant. The species is sometimes mistaken for the invasive northern snakehead because the two are visually similar. Anglers should take care to handle the fish carefully, as bowfins sport a mouthful of sharp teeth. Their flesh is generally considered difficult to cook and may contain high levels of mercury, but healthy bowfin meat is popular when fried in small pieces. Bowfins can grow upwards of 20 pounds and well beyond 40 inches. The world record currently held by the International Game Fish Association belongs to a 21-pound, eight-ounce fish captured by Robert Hamon in South Carolina’s Florence Lake nearly 34 years ago.